By Bob Burns, Tasha Chapman, and Donald C. Guthrie-PCA. 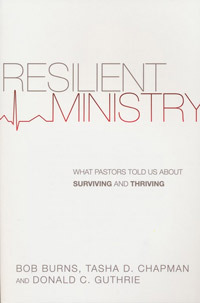 Why does one well-equipped, well-founded ministry succeed while another fails? Bob Burns, Tasha Chapman and Donald Guthrie undertook a five-year intensive research project on the frontlines of pastoral ministry to answer that question. What they found was nothing less than the DNA of thriving ministry today. What does it take to have fruitful ministry over the long haul?